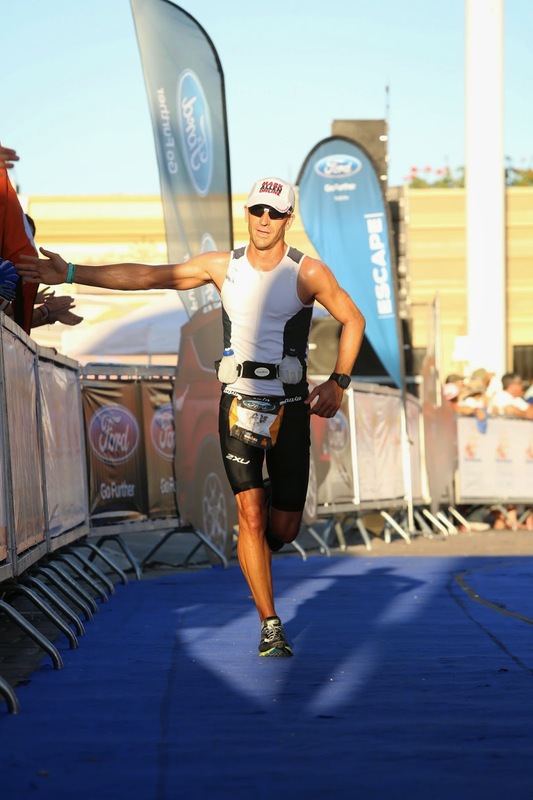 After having some time to really reflect on Ironman Los Cabos, and how the experience shaped out, I wanted to lay out some of the things I learned along the way which I found important, and can be applied to any passion project a person may seek to accomplish. In a nutshell, completing this race was absolutely glorious. The finish chute was a blur of afternoon sunlight and mental fog, but it was absolutely glorious. Will I do it again? Absolutely. What did I learn? Read below to find out. We human beings really are capable of more than we give ourselves credit for - Yes, I know it's cliche, and we can read this any number of times a day on inspirational Facebook posts, but it's also very true. We tend to give up too quickly or too easily. By our very nature, we are conditioned to conserve. Conserve our pride, conserve our welfare, conserve our energy. In other words we are conditioned to be "safe". After all, as we evolved we had to develop mechanisms to keep ourselves from harm - to run away from Sabertooth Tigers, or survive through cold winters or famine. I'm certainly not endorsing those, but there are ways that we can channel those additional stores of energy in non-stressful ways (I want to stress "non-stressful") to go the extra mile in any endeavor with which we are involved. Understanding and acknowledging our limitations is a beneficial exercise - Is number 2 contradicting number 1? Yes!... In a way. But you see how I mentioned channeling energy in non-stressful ways (I guess I want to re-stress my stressing of "non-stressful"). That is where understanding our limitations can benefit us. We all know how we feel when we hit a brick wall. Our energy immediately depletes, we lose sleep, we get sick, we get irritable, we crave sugar (ok, that one is tough to gauge). When I felt any of these symptoms during my Ironman training, I knew that it was my body telling me that I was pushing too hard. When that happened I had to take a step back and make rest my priority, refresh my mind and body, and recover the passion and energy I had for pursuing this goal. Often times the best offense is a good defense. Additionally, knowing our limitations gives us a good indication on where we can improve, and whether it makes sense to refocus our energy in more positive ways. "No pain, no gain" is some of the worst advice ever given - In fact, pain is most often an impediment to progress. Alternatively, some of the greatest gains happen with little or no physical pain, and very little discomfort at all! When I first began training using heart rate as a guide, I didn't even feel like I was working out at all. I barely broke a sweat, pulling 11-12 minute miles on runs. Gradually the pace improved and the effort felt much the same. It's only with the greater gains that more discomfort becomes required, the "last 10%" so to speak, and even that should be done sparingly. It all comes back to understanding limitations. Pain is different from discomfort. Our ability to suffer through discomfort is part of a growing experience. Pain, on the other hand, is biofeedback telling us that we are overdoing it and have to take a step back. This advice would be better read as "No pain, KNOW gain!" We can make the experience of achieving a goal much more fulfilling by finding a way to be in service to others - When I first considered training for an Ironman, I thought of all the hours I would have to put in, the money I would have to spend, and the emotional capital I would expend and it made it seem like a very selfish endeavor. To be fair, it was. I was looking to better myself. But how can we benefit others unless we focus first on improving ourselves (something about removing the plank from one's own eye comes to mind)? In my case, I chose to set an example for those that may have always thought of achieving a far reaching goal, but who may have talked themselves out of it numerous times (after all, I was like that). I wrote about it openly in the hopes of inspiring others through my experience. This requires conquering the fear of being vulnerable (spoiler alert: that's number 5 below). Additionally, I raised money for charity to hold myself accountable to the goal. After all, it is much more difficult to quit when times get tough if you have more eyes on your progress and a charity goal depending on your achieving the goal. The experience can become more meaningful if we can conquer the fear of being vulnerable - I used to be a bit of a cynic, often becoming critical and nay-saying in many situations. I now understand that that was a defense mechanism for me so that I would not be the subject of criticism. If I can be critical of other peoples' desires to fulfill a dream, I could justify my own lack of inspired confidence. Too often we put up this armor of cynicism, and neglect the great potential for self improvement that comes from being vulnerable. Brene Brown is an expert on vulnerability, and goes into great detail of it's importance in this TED talk and in her book, Daring Greatly. Making myself vulnerable by writing about my experience, especially at the beginning when I had no experience whatsoever, made me extremely uncomfortable. However, it made the experience of getting to my goal and achieving it that much more meaningful. You CAN find the time - Yes, you can. No seriously, you can. I know you have kids, I know you have a job, I know you have that thing on Thursday nights (I'm not stalking you, I swear). Regardless, the time is there. It's just about inventive time management. I know waking up earlier is hard, but that is a solution. You can also take your lunch breaks at work to focus on the goal. The point is that there is always a way to make the time. Within my training plan, I had to find 20+ hours a weak during the peak weeks to train. I would wake up earlier, use my lunch breaks, and use the actual commute to work to work in training hours. I still found time with the family and took care of all my obligations (in fact my family appreciated it more because I was setting a good example). The right perspective changes everything - I know what it's like to fall into a downward spiral of despair and self loathing. The feeling that everyone is against you and the hard work is meaningless. These are the great demoralizers. The worst thing about these feelings is that they are overpowering, and they feel absolutely legitimate. However, I have found in my life that these are mostly problems with perspective. I've learned through this experience that, for me, one of the big differences between being happy and being miserable is my perspective. When I turned my negative attitude around and focused on the positive, things became much brighter. Ironman training was a great practice in perspective. Instead of saying things like "I have to run today", I would say "I get to run today". How lucky am I, that I am capable of getting myself up every day and working toward a dream? Truly we are fortunate if we allow ourselves to believe we are, and overcome the power of negative thinking. Humility is vital - There will be setbacks. There always are. Many times these setbacks may seem like a death nail into achievement of a goal. But when these setbacks occur, it is important to practice humility. Allowing our egos to get in the way of clear thinking will only make the situation worse. For example, as I was training during the summer months last year, I hit a plateau which wouldn't allow me to get any faster at my assigned aerobic heart rate range. This gave me two options. Run faster and train over my heart rate range (which would have potentially destroyed my training progress to that point), or humble myself and keep it slow. Sure, I wouldn't be able to run as fast as I wanted at that point, but checking my ego would allow me to be faster at that heart rate over the long term. A setback, yes. But the long term goal was still on track. Eventually I broke through the plateau and got faster. Humility ties a lot of these things I learned together in a nice little bow. Accepting limitations, practicing vulnerability, finding the right perspective, it's all about humility. It's worth it - Whatever "it" is, as long as the effect is positive, it's worth it. Because "it" is important to you, "it" will build your character, "it" will give you fulfillment beyond your expectations, and in turn the act of achieving "it" will inspire others. And when we inspire others, we can inspire ourselves, constantly improving, always reaching toward higher and more lofty goals. An upward spiral. Take it from me, you can. You are definitely an inspiration! Not only in your life choices and achievements but in the amazing way you write these blogs. Keep it up. Boise is around the corner!